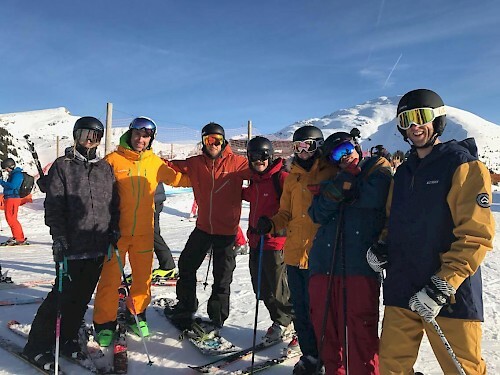 Last week, good friend and local legend Olaf, took the Mountain Mavericks crew out for a fun day out in the Portes du Soleil to talk about off-piste skiing and where to find the best snow on a powder day. Evolution 2 guide Olaf was born and bred in the Portes du Soleil and so his knowledge of the area is second to none. He has been skiing for as long as he can remember and is a phenomenal backcountry rider! So who better to show us around and give us some tips and information on skiing off-piste in and around Morzine?! After a brief introduction, Olaf showed the staff some of his favourite areas to ski when fresh tracks are to be had, and also talked briefly about the safer and more dangerous places to go on the mountain in search of powder. Sticking to the sides of the pistes because of snow conditions, Olaf also gave us some great hints and tips on ski technique, and it was easy to see how a lesson with Evo2 could dramatically improve your off-piste ability! 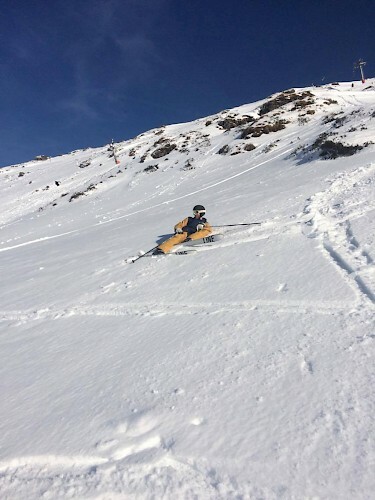 The most important points to keep in mind when skiing soft snow are to keep your weight forward in your boots, try to keep equal pressure in your legs whilst you move fluidly through turns, and purposefully pole plant. 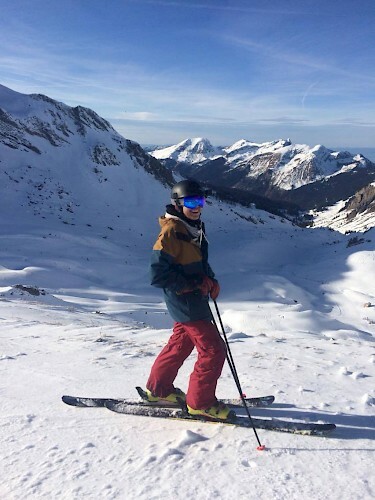 Olaf is a great instructor and his friendly, humorous character made everyone feel instantly at ease and more confident in trying off-piste – something which a few of the staff had never tried before. Sales man Barry resting his tired legs! After a few falls and laughs, some great last runs through the Linderets bowl and a cracking day of skiing with the gang, it was time for a well-earned beverage! 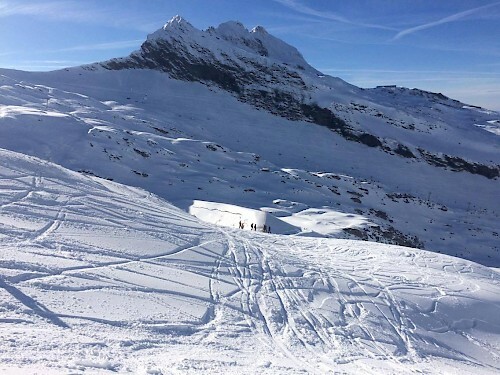 If you’re looking for an off-piste lesson or just need to improve your on-piste skiing, Evolution 2 are the perfect option for all the family. Whether you’d like private or group lessons, contact them on Phone: +33 450 74 02 18 or Email: contact@evolution2-morzine.com to find out what they could do for your skiing!